Tender, imaginative, wry and wise, the poems in Stone’s first collection take the reader from the bottom of the ocean to the orbit of the moon. In between, the geography of the heart is mapped lyrically and unexpectedly. 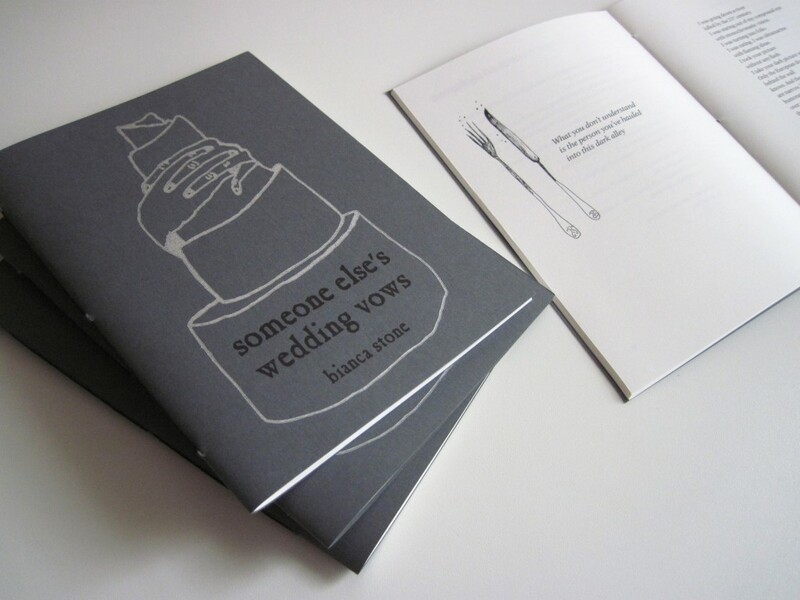 Bianca Stone received her MFA from NYU’s creative writing program in poetry in 2009. She is the creator and co-curator of the Ladder Poetry Reading Series in New York City and is a regular contributor to Thethe Poetry Blog. Her most recent poetry publications include The Patterson Literary Review, Fou, Agriculture Reader, and Conduit. Besides writing poetry, Bianca is also a visual artist and freelance illustrator, often combining poetry and illustration. She is currently working on manuscript exploring the mixed genre of poetry and image. Her blog is called Poetry Comics. She lives in Brooklyn.